Welcome to Bulloch Harbour – home of Trident Sub Aqua Club. 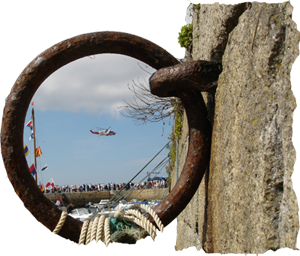 The harbour was built in 1817 by the scots engineer Rennie but a settlement has existed here since pre-Christian times. Today, the residents of Bulloch rent and sells boats, fish and of course SCUBA dive. Our clubhouse is visible on the map – is situated on the left hand seaward side of the pier.